If you don't watch So You Think You Can Dance, the title of this post sounds pretty stupid. Actually, even if you watch SYTYCD, it's still pretty stupid. But you still want to read about the tamales we ate today, right? 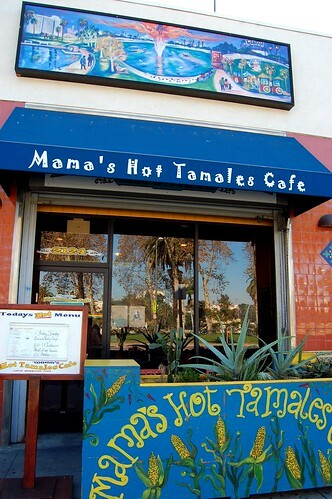 As an apprentice-operated business and job-training restaurant, Mama's Hot Tamales Cafe (2124 W. 7th Street, Los Angeles) welcomes local low-income residents who are home caterers and street vendors and prepares them for jobs in the food service industry. 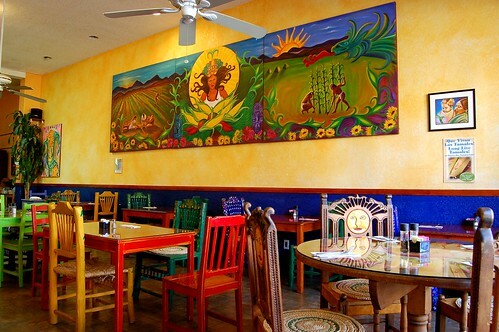 When you visit the bright and cheery cafe, you will dine on fresh delicious homemade tamales, and you will feel good about supporting a great cause. I started off with a fresh jamaica ($2.00). 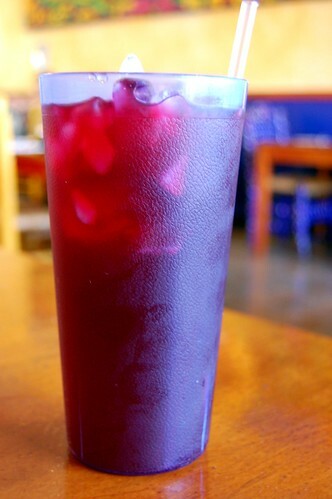 The refills were plentiful. Mr. Monkey had an Inca Kola ($1.75). We ordered six different types of tamales to share ($2.75 each, $2.50 each if you order three or more): chicken with black mole, chicken in green sauce, turkey, pork in green sauce, beef picadillo, and cheese and jalapeño. 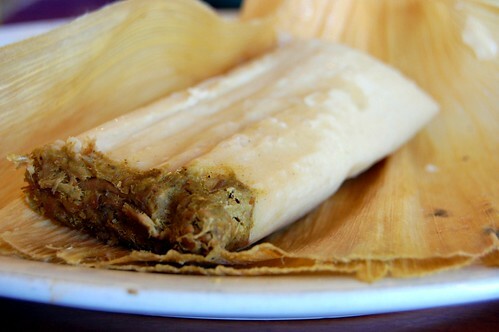 The types of tamales vary daily, depending on which vendors contribute, but the array generally includes offerings of Mexican, Oaxacan, Honduran, Peruvian, Guatemalan, and Salvadoran origins. Chicken with black mole. My favorite, hands down. The mole was rich and smoky. Beef picadillo. Spicy and yummy. Pork with green sauce. Good but not as good as the others. Cheese and jalapeño. Loved this one! Cheese! Cheese! Cheese! Everything was delicious, but we particularly enjoyed the tamales wrapped in banana leaves. These were especially moist and amazing. They were so outstanding that we got four banana-leaf-wrapped tamales to go: another chicken with black mole and another turkey, as well as a chicken with vegetables and a mixed vegetables. We had them for dinner, and they were fantastic! We ended our meal with a shared pineapple tamale. I loved how the sweet cinnamon tones paired with the warm tang of the pineapple. This was a lovely neighborhood find in a not-so-lovely neighborhood. I promise it's worth it. I only wish we'd taken home more than four extra tamales. i think i might need to go get some tamales. 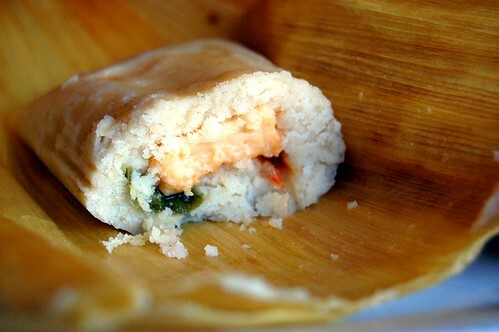 i hate dry tamales, so moist ones sound great. I've always wanted some of whatever drugs that woman on SYTYCD takes. She's just so dang hyper all. the. freakin'. time. 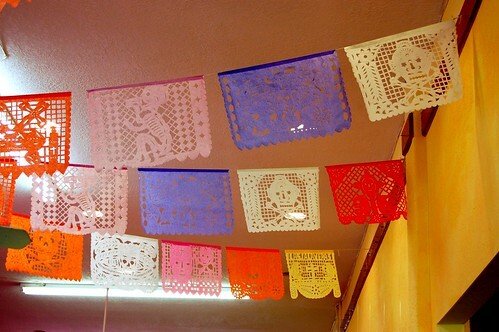 Cute decor at this tamale place! YUM!!! I love me some tamales!!! I love the idea of a sweet dessert tamale. Mmm ... awesome post! I love So You Think You Can Dance and tamales!! 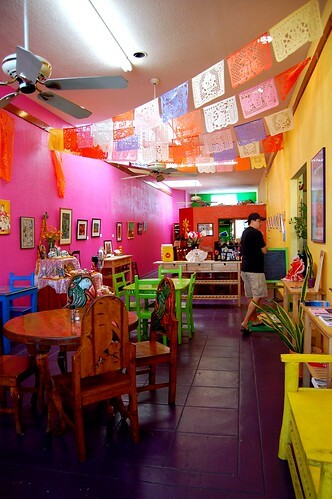 This place is adorable! and now I want tamales. I love this place. We go there from my office on the rare occasion we know we're taking a little bit of a long lunch! SO worth it! The husband is determined to learn how to make fantastic tamales. This looks pretty amazing. Oh God. I think I just died and went to heaven. Did you say MOLE tamales? I have to admit, I was expecting to see some scantily clad dancers in this entry....but I guess this restaurant will do. I like the sound of all this restaurant stands for and if the food's good too, even better! Mr. Monkey sure likes that Inca Cola, huh? 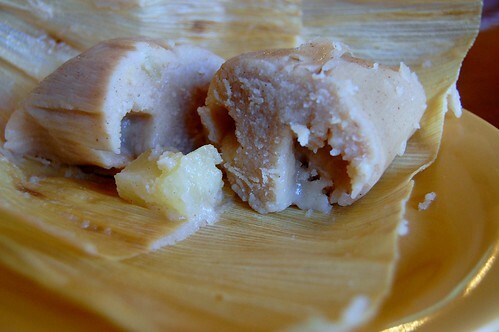 I don't even love tamales, but now I want them! YUM! Sounds yummy and such a great cause! i need to stop reading your posts before i've had lunch because i always get hungry, haha. 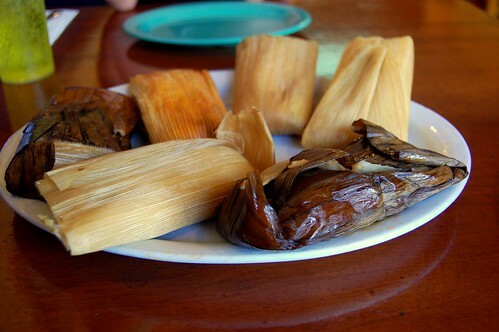 i loooove tamales. the concept of this place is fantastic; can't wait to check it out. fiance would love that place! yum yum. I love tamales. Love 'em. 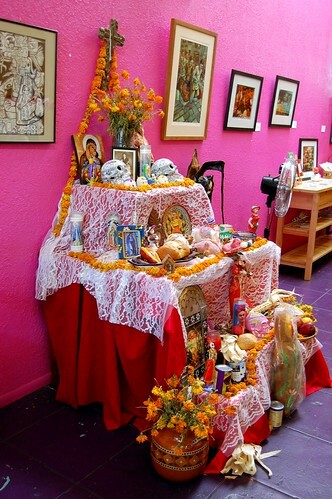 Awesome cause and amazing decor, seems like a great place. 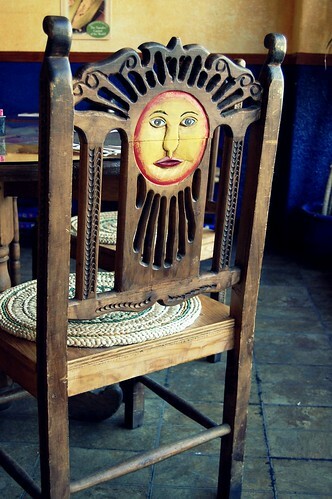 I really love the decor. what a happy, bright looking place! mmm, tamales. 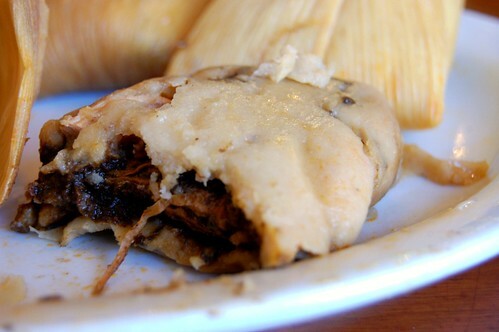 Ooh, mole tamales may be my new BFF. 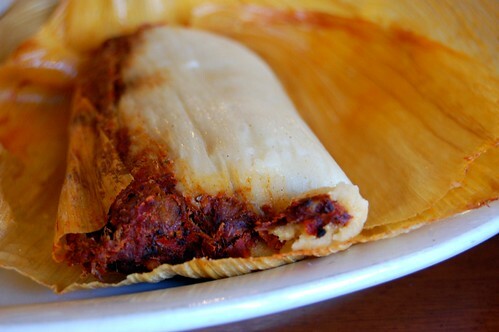 There's an article in this month's Orange Coast about the best tamales in OC -- you should come down south and try ours! the cheese and jalapeno sounds awesome! there is tamale guy that comes by our office every so often to take orders and then delivers them within the hour. only 4 varieties, but also only $1 each. so damn yummy. i miss him when he's not around. 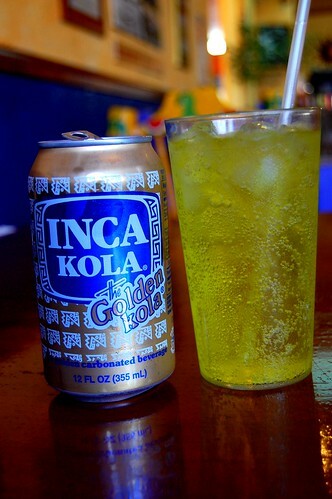 Inca Kola Inca Kola! [insert child-like clap here] Finally something I have in common with your eating posts! get them and freeze em. that's what brownies do around the holidays cuz good tamales are so hard to come by.